Recently, Facebook had gone public with its intentions to merge user data from its own Messenger app with that of WhatsApp and Instagram. Yesterday, the German federal corporate trust-monitoring office ruled against Facebook's license to do so in the country. It cited the fact that Facebook can only pool data as it wishes if the user of each respective app consents to this activity. Recently, reports that Facebook was planning to bring user data from its acquisitions WhatsApp and Instagram into much closer conjunction with that of its own Messenger had emerged. Despite opposition from online privacy experts, as well as WhatsApp's own employees, the company insisted that this move was being made in order to build a new infrastructure for messages from all 3 apps. Now, however, Facebook has come up against official adversity in this 'merger'. 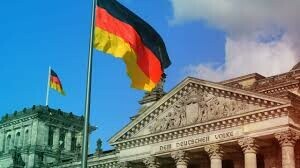 Germany's state Bundeskartellamt, or federal corporate competition office, has been monitoring this initiative. As a result, the office has released a ruling stating that data from either of the two stand-alone apps cannot be combined with that of Messenger without user consent at the Facebook end. The Bundeskartellamt also described Facebook's current level of data use being carried out without account-holder consent as "abusive". The company could be subject to fines of 10% of its total annual revenue (estimated at US$55.8 billion at the time of writing) if it continues the practices in question. On the other hand, this ruling is not yet legally binding; Facebook has up to a month from now to appeal the decision. The social media giant has stated that it plans to do just that, as the Bundeskartellamt has over-estimated its level of competition in the messaging market.